The financial impact of a completed opportunity for improvement can be one of the easiest results to measure. If you’ve been using the right continuous improvement software solution to organize your improvement initiatives, it should be fairly straightforward to determine the cost of improvement compared to the post-improvement increase in revenue or decrease in expense divided by the amount that was spent to implement the idea. There are several ways to determine if continuous improvement has had a positive impact on the quality of products and services. The number of defects identified before the product reaches the customer is one important metric. Others include the number of product returns, complaints, and requests for replacement parts. Increasing product quality is hugely important to successful businesses; they recognize that superior products and services is how to increase sales, create customer loyalty, and increase the pride felt by their employees. There are also aspects of quailty that are harder to measure in the short term, such as how well your product or service meets the needs of customers or, better yet, delights them. There should be a positive long-term effect in terms of sales and customer loyalty, but it can be difficult, if not impossible, to know how much a particular improvement contributed to that success. Often, the result of an improvement is a shorter time to market or a more efficient process that makes it possible for each person or resource to do more. Efficiency is the name of the game where time savings are concerned. It can be measured in increased output from any part of a process, given the same amount of time in the day or week. We refer to this as "soft savings," because while it doesn't directly result in an increase in revenue or a cost savings, it does free up employees' time so that they can do other value added activities, thus saving the organization money in the long run. Beyond any "soft savings," there are situations where time saved for employees leads to reduced amounts of overtime, which is a cost reduction that directly impacts the bottom line. Organizations have a responsibility for the safety of every customer, patient, employee, or guest who enters their locations - as well as those who buy their products or services. Safety concerns are often a key reason that companies adopt a continuous improvement program, so don’t forget to measure the impact in this dimension. Of course, you can't easily measure the financial impact of things like "lawsuits avoided" or "potential missed days of work," but even counting the safety improvements and reporting that number is useful information in evaluating the impact of continuous improvement. One way organizations do measure the impact of safety is a concrete reduction in things such as liability insurance costs or workers' compensation costs. According to a study by Bain & Company, 80% of companies say they are delivering superior customer service. Sadly, only 8% of customers agree. This is why it is essential to measure how improvements impact customers, rather than just taking a guess. Come up with a way to measure that makes sense for your organization - it could be anything from surveys, customer service ratings, and focus groups to an increase in sales. There are often disconnects between how satisfied employees are and how satisfied management thinks they are. Companies that implement a continuous improvement approach to business see employee satisfaction and employee engagement improve over time, as employees feel increasingly valued and respected for their work. 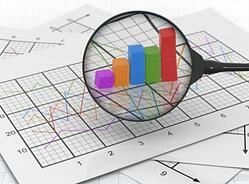 Are there other specific metrics your company should track? Probably. To find out, keep this pearl of wisdom in mind: “What gets measured gets managed.” Think about the things your organization needs to improve and create metrics around those. Doing so will help justify your investment in improvement and the technologies you need to support it.